Welcome to YetAnotherTechShow.com, or as we call it, YATS. Thanks for coming to check out our site and show. 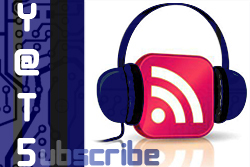 This is the weekly technology podcast where we sit and discuss the latest interesting and entertaining tech stories. I’m Ant Pruitt and this week the panel consists of myself, producer Mat Lee and Larry Press. Be sure to click on our names here to follow our social connections. After you do that, come back here, click “play” at the top of the page and follow along with this week’s show notes. Hello and welcome to episode 73 of our weekly tech show, YATS! Join us every week on YATS TV for some lively humorous and always educational tech discussions. Mat Lee here with some show notes for you. On tonight’s show I’m joined by Mike Rothman, Larry Press and Nick Carroll. We discuss my new Moto X, Silk Road arrests, getting hacked during a podcast, Microsoft’s dual boot phone dream, Chrome OS built into Windows 8, free internet courses, HP and Microsoft breakup, Chromecasting from a Chromebook, the most visited sites in the world, and so much more! Thanks for checking out the show, and we’ll see you next week. Welcome to episode 23 of Yet Another Tech Show, everyone. I’m Ant Pruitt. This is your weekly podcast with everyone’s favorite tech evangelists bringing you informative and entertaining tech discussions. Thanks for checking us out. 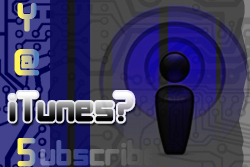 Be sure to check out our iTunes subscription and our social media connections via Twitter, Google+ and Facebook. The YATS crew enjoys our engagement with our listeners. Keep leaving the comments on our site and resharing with your other nerdy, geeky friends! Let’s get into episode 23. . . .